For this example I’m also showing it’s HTML code. I’ll show only the form’s code, you can find the rest in the “index.html” file. 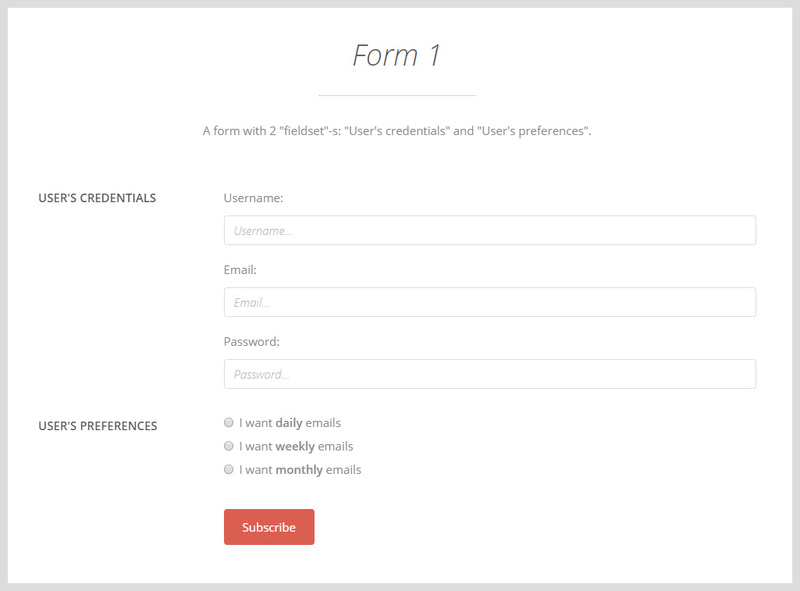 To understand it, probably you’ll need to take a look at the Bootstrap forms’ documentation here. 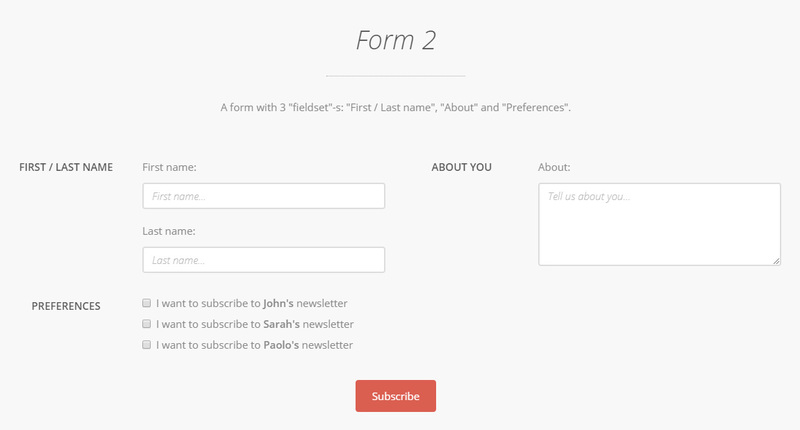 A form with 3 “fieldset”-s: “First / Last name”, “About” and “Preferences”. 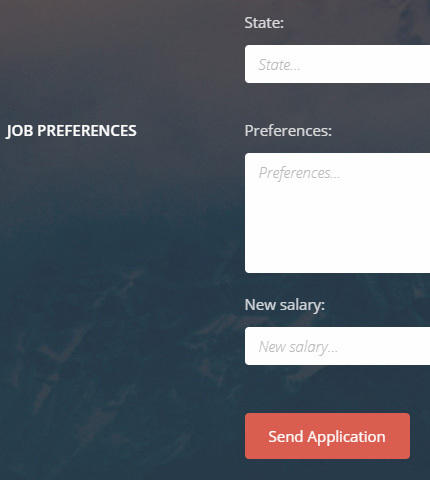 It uses text fields, textarea and checkboxes. 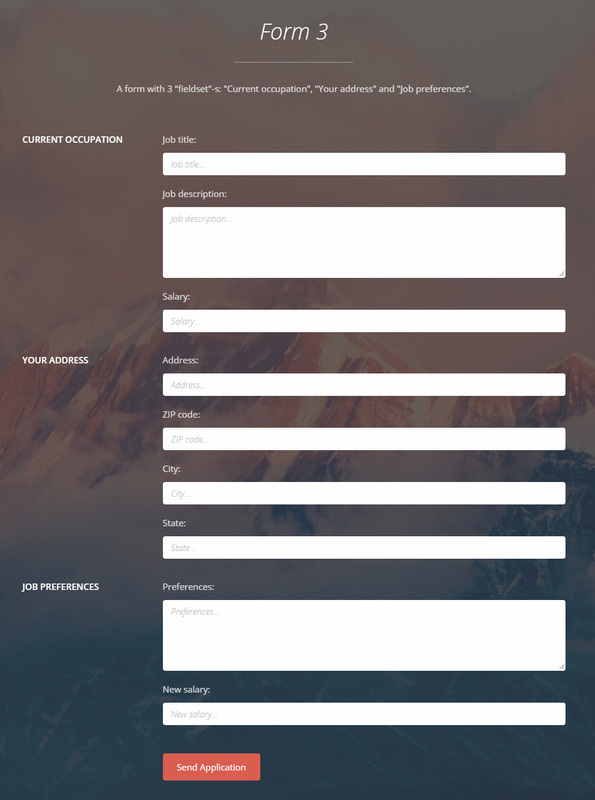 A form with 3 “fieldset”-s: “Current occupation”, “Your address” and “Job preferences”. It uses text fields, textarea-s.
Maybe this form needs some more fields and sections to make it more realistic, but it is just an example. To style the forms I’ve used some CSS code that you can find in the “style.css” file (/assets/css/). Bootstrap is responsive by default, but I’ve also added some additional CSS code in the “media-queries.css” file (/assets/css/), which is specific for this project and is needed for the customized sections.